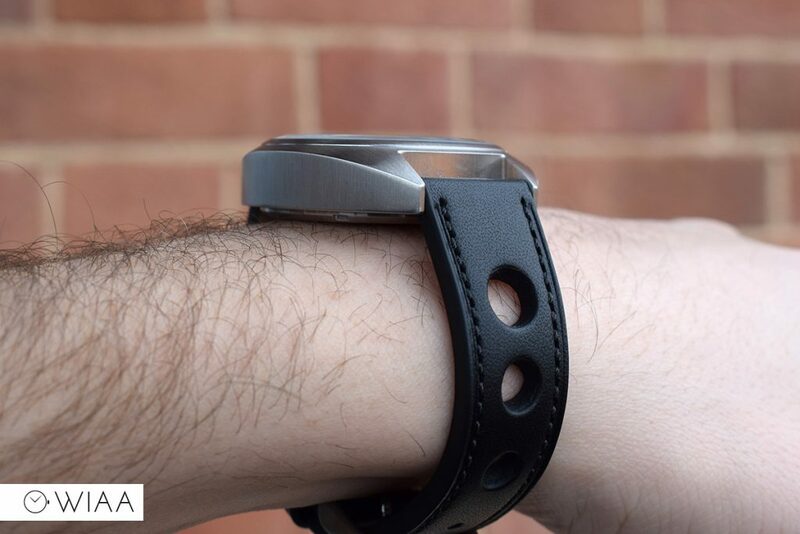 Published by Joshua Clare-Flagg on 6 Mar, 2017. Matthew Humphries was the Chief Designer at Morgan Motor Company. 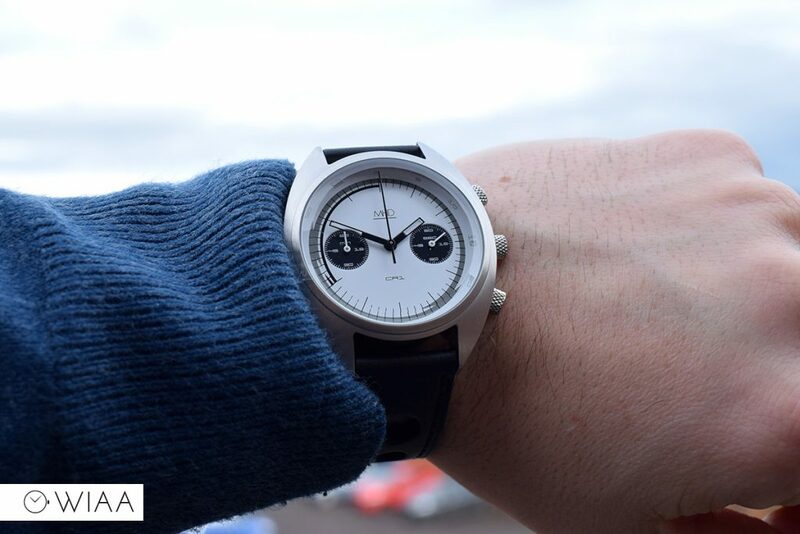 Now, he is a automotive design consultant and has his own watch brand – pretty cool, right? 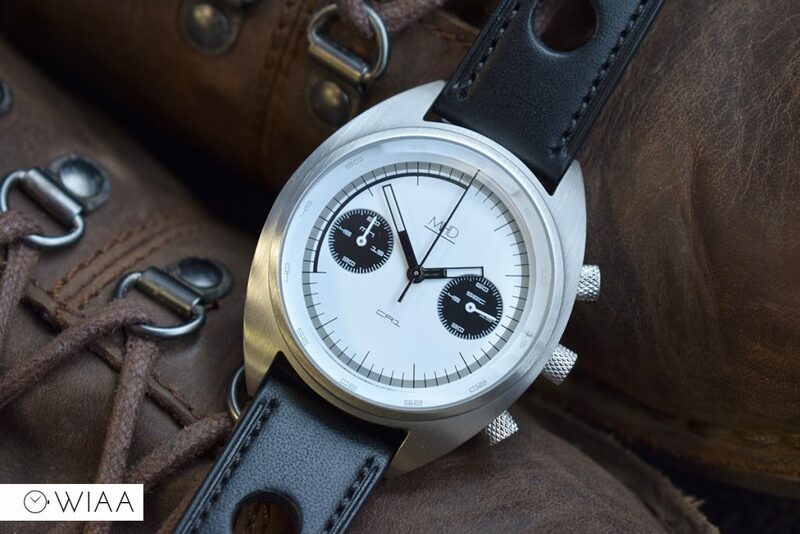 No explanation needed, then, when you see that his watches are 60’s inspired, and automotive themed. 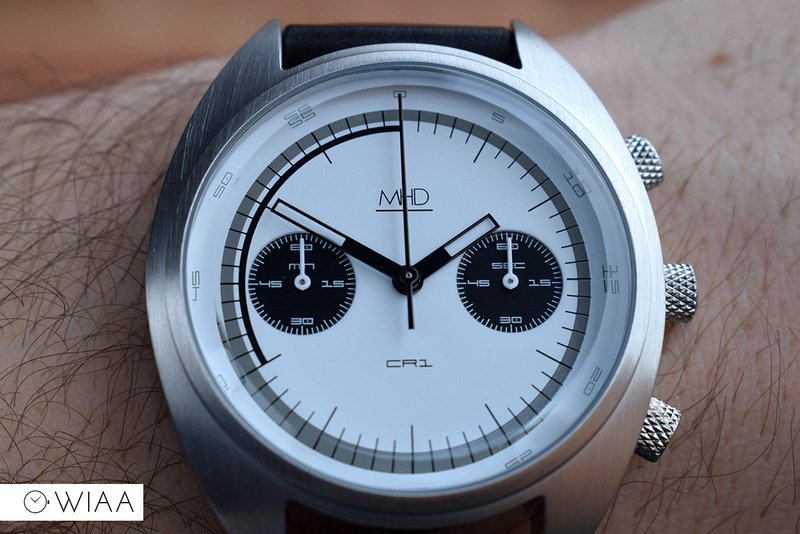 MHD started with a 3 hander, and introduced chronograph following. 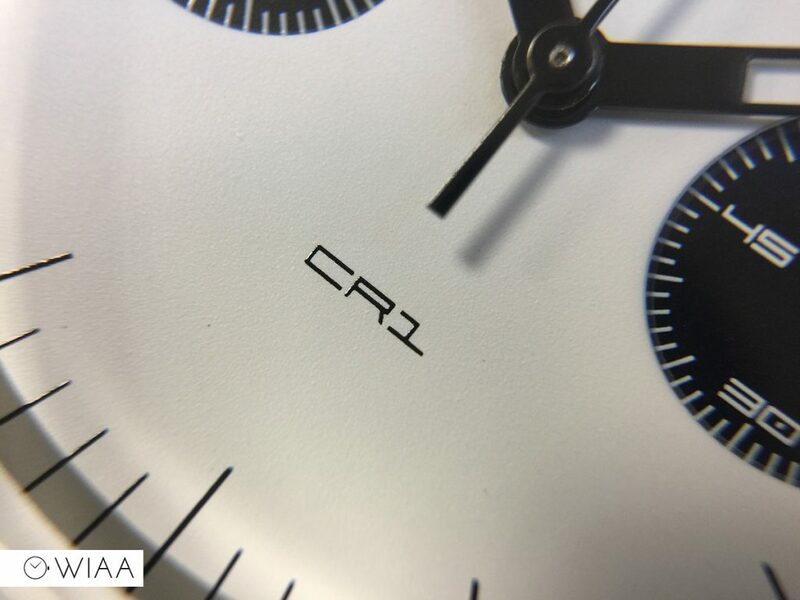 This year, the chrono CR1 range was expanded with the introduction of two Panda models – white dial and black subdials (this one), and one the opposite. 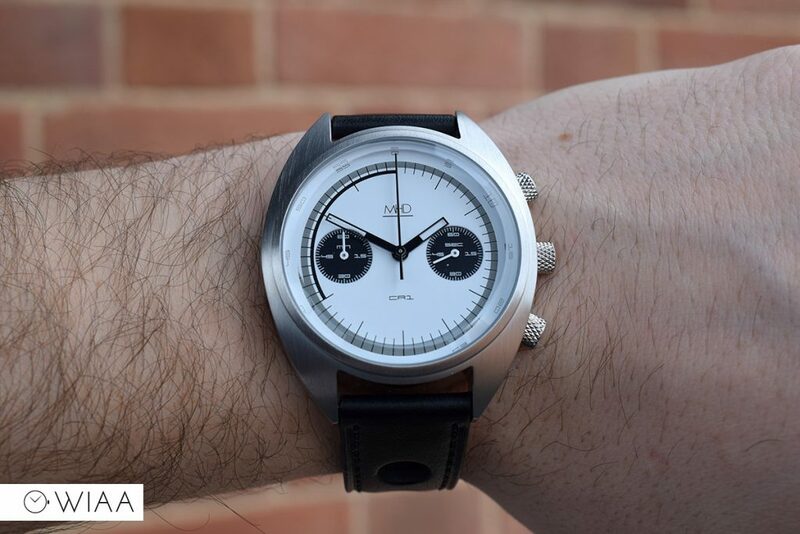 Costing £250 +VAT, let’s see if it’s a decent watch for the money. 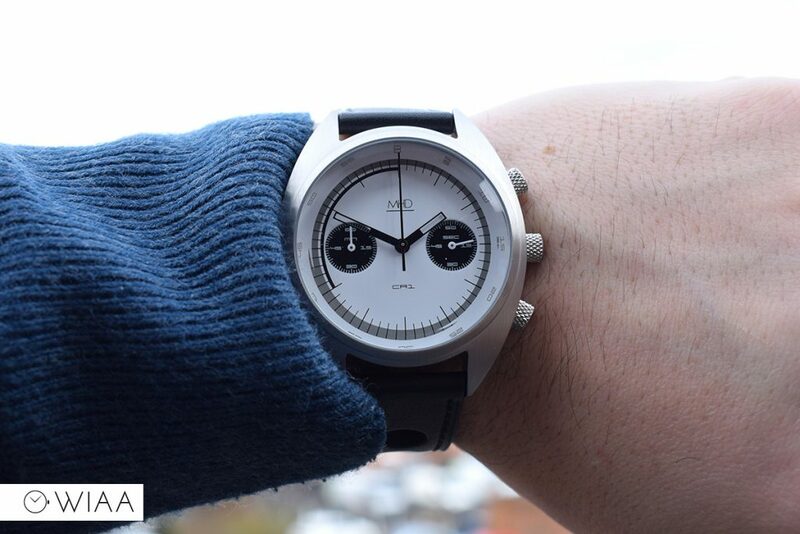 The dial has a satin finish, and is available in white or black. 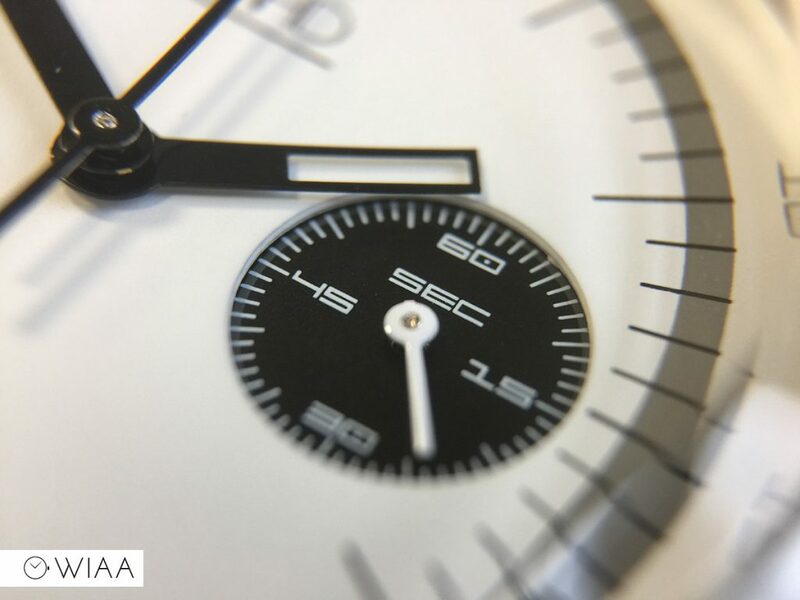 The white dial has high contrasting black and grey markings that are all printed; no applied elements are used. I like the font used – one very similar to Porsche Design – supporting the automotive theme. The black subdials at 3 and 9 are on a lower level, proving a small amount of depth. 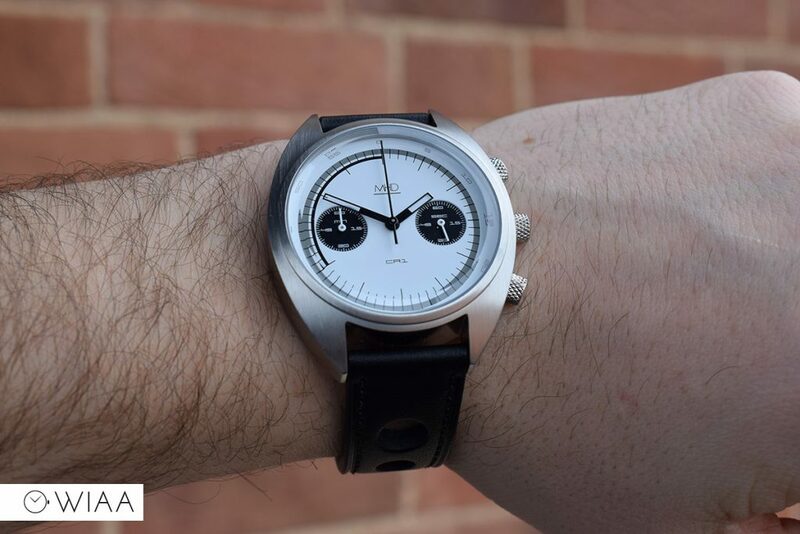 It really is a striking design, with the subdials staring right at you like a couple of beady eyes – which is the reasoning behind the panda name. 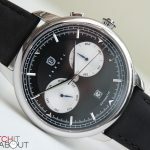 The running seconds is located at 3, and the chronograph minutes are at 9. 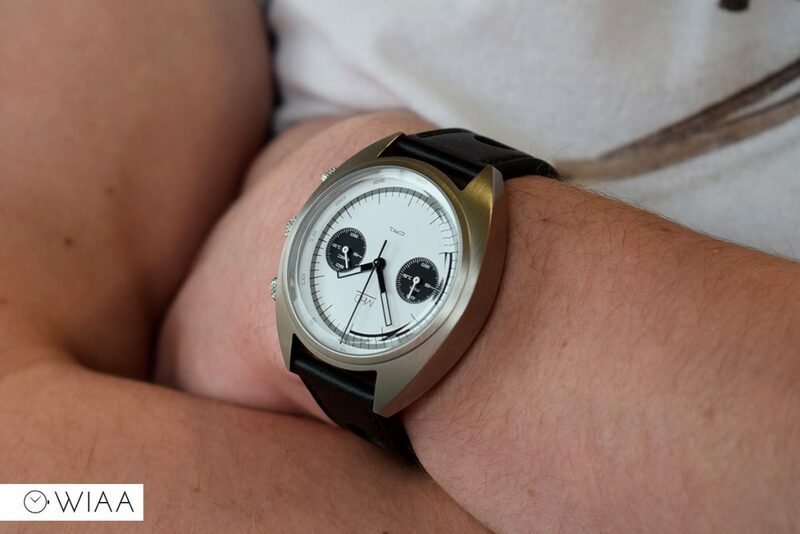 The hands are a window type, which have a cutout in the top section so you can still see the subdials when the hands are located over the top of them. 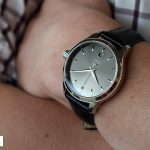 Whilst it’s a good idea, I’ve found that in some circumstances it can make reading the actual time hard. 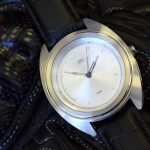 Theseconds hand is extra long and breaks past the minute track around the outer edge of the dial. 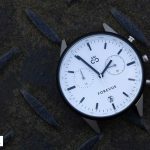 The case is an extemely simple cushion style shape – when you take a look from the side it’s really just a thick slab of steel. It’s completely brushed, so it’ll prove to be quite hard wearing. 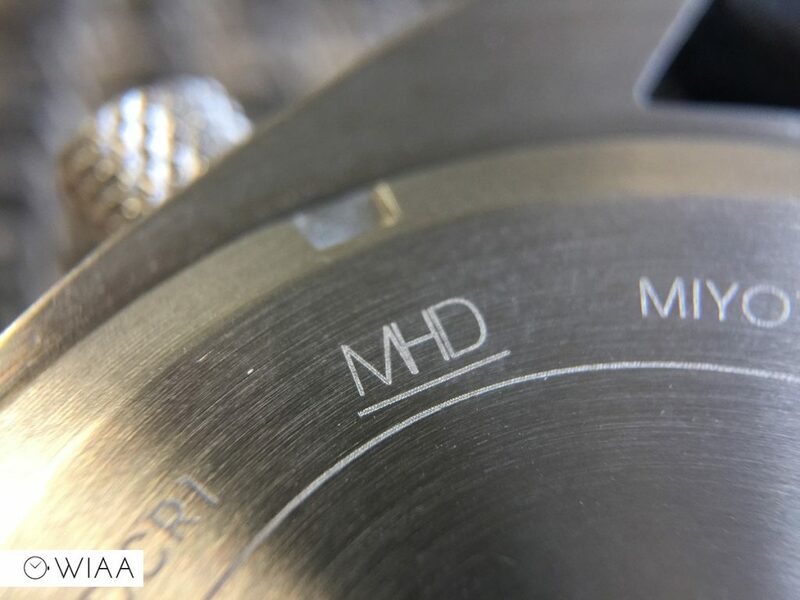 All MHD’s feature a bevel edged mineral crystal. I asked Matt why he made the choice of mineral over sapphire. He said it was due to it’s strength, durability and shatter resistance. 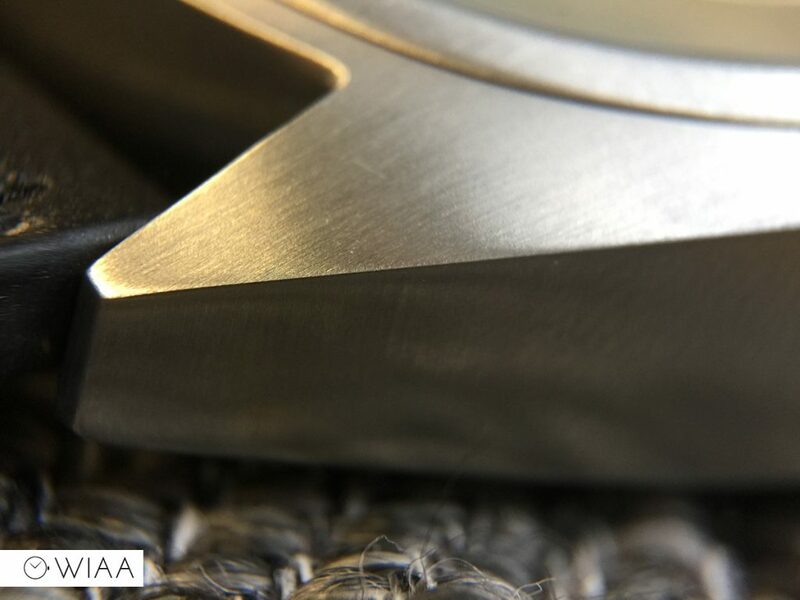 Whilst that’s true – mineral is more shatter resistant – you simply can’t avoid the fact that sapphire crystal is the correct choice for a luxury / high end watch. 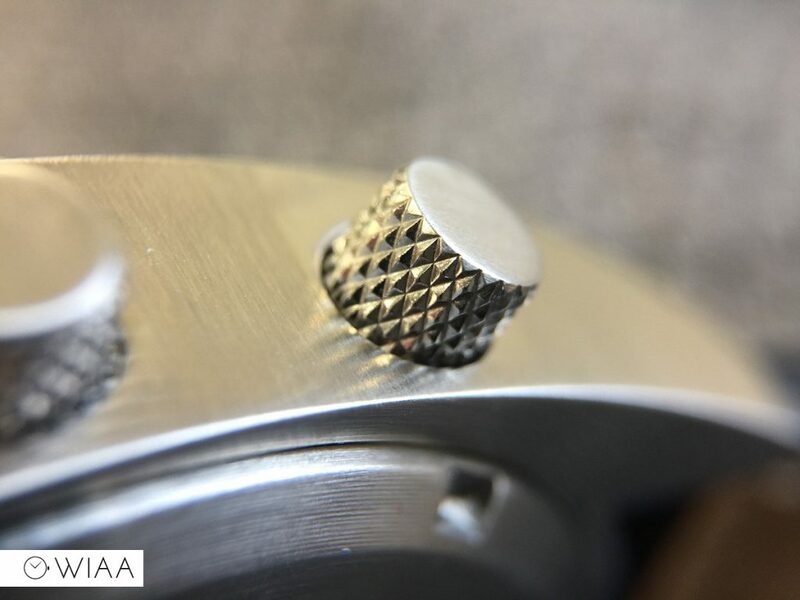 The knurled pushers and screw-in crown are all the exact same; but are very cool and blatantly automotive inspired. They’re very well machined, providing great grip and nice feedback. 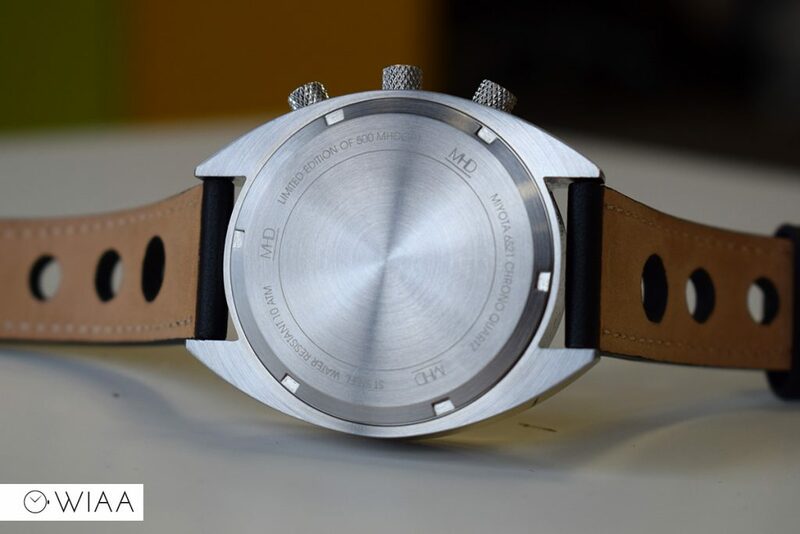 The screw-in caseback is brushed in a circular pattern. 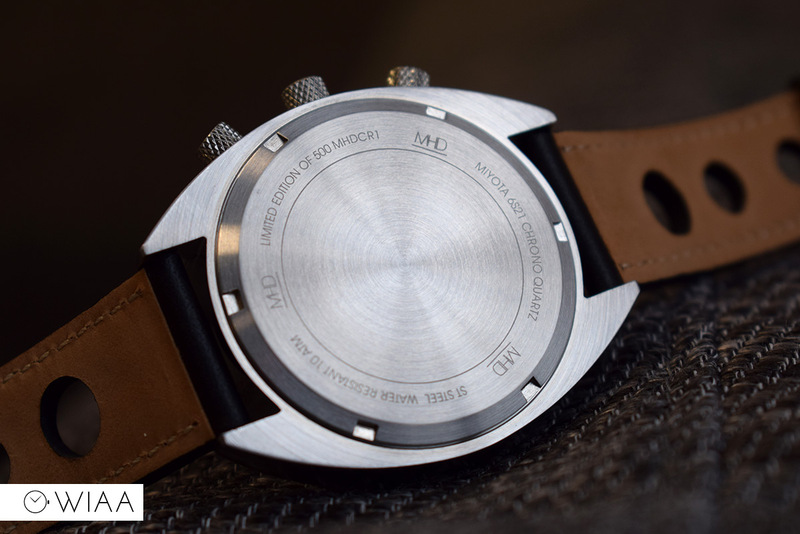 The central area has been left blank, with various details lightly laser etched around the outer edge – which would have been nice if they were engraved. 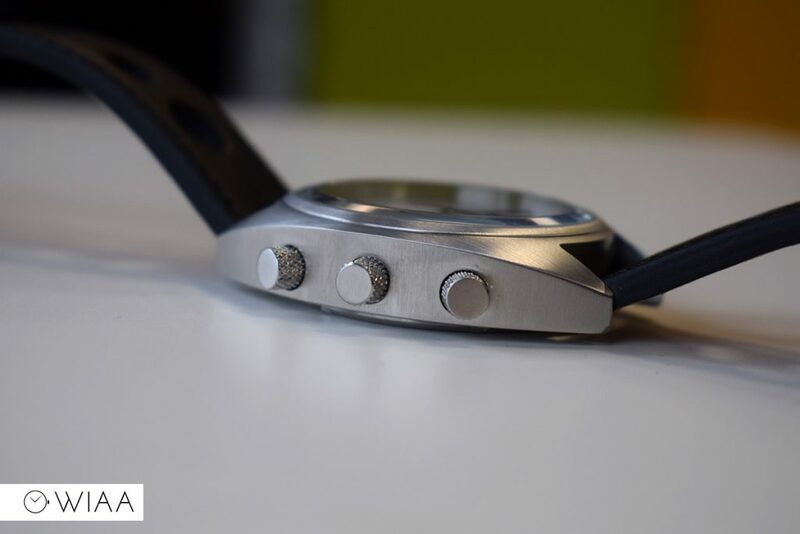 The watch seems to come fitted with an aftermarket strap, as there is no markings or branding on it. 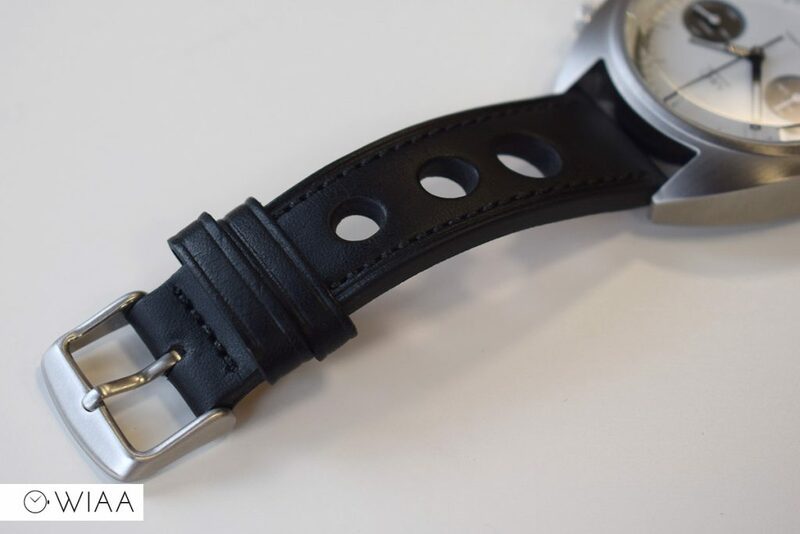 No stamp exists on the underside of the strap, and the buckle is unsigned. 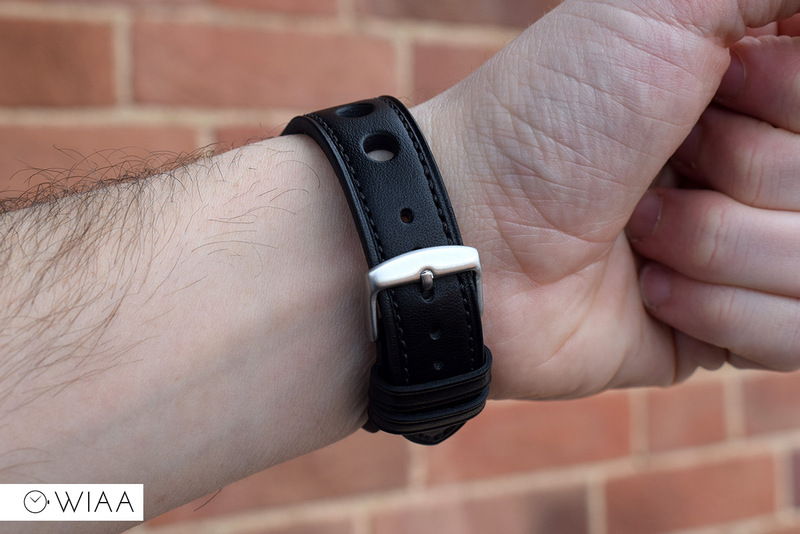 It is made of calf leather, with matching black stitching. It’s racing themed thanks to the 3 holes that are on either side. 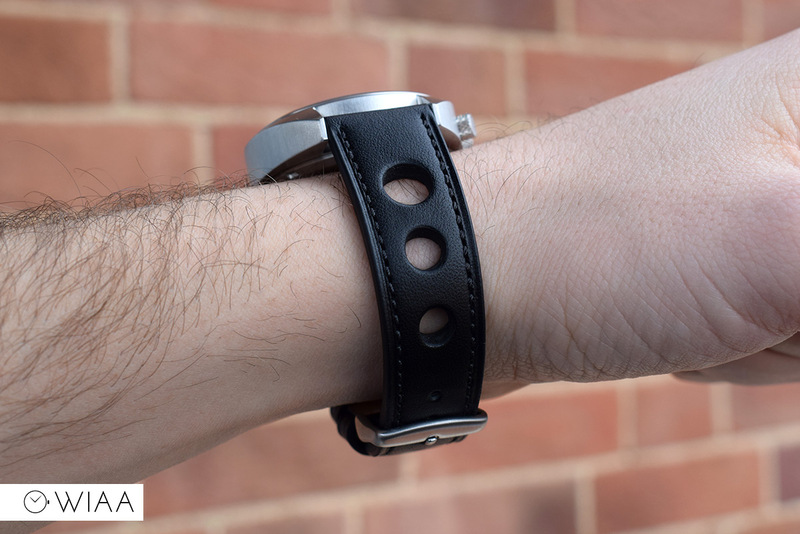 It starts at 20mm wide at the lugs, reducing down to 18mm at the buckle. It’s a little bit stiff to start off with, but it’s comfortable, smells nice, and seems to be high quality. 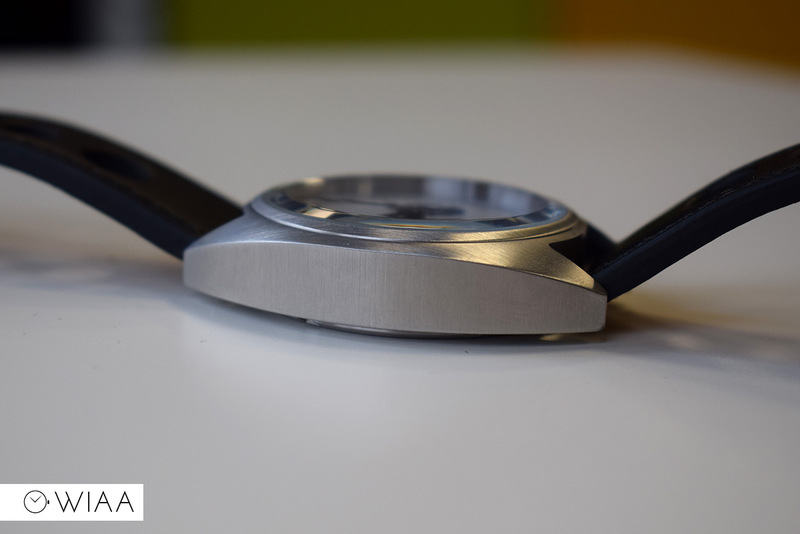 The unsigned tang buckle is simple to use and look at, and is completely brushed to match the case. 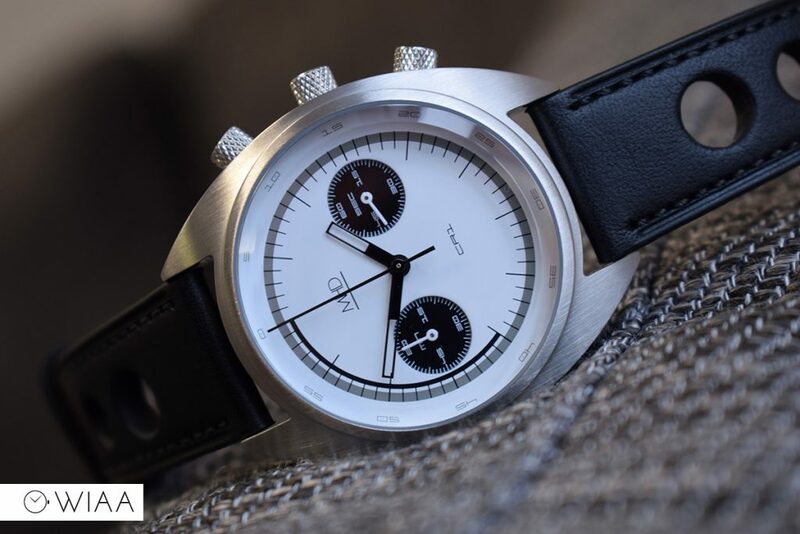 The movement powering the CR1 is the Miyota 6s21. 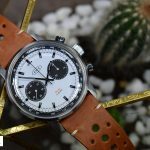 It’s an interesting case, as it acts like a mecha-quartz in that the chronograph seconds runs at 5 ticks per second, but in fact it is fully quartz – it doesn’t even have any jewels. 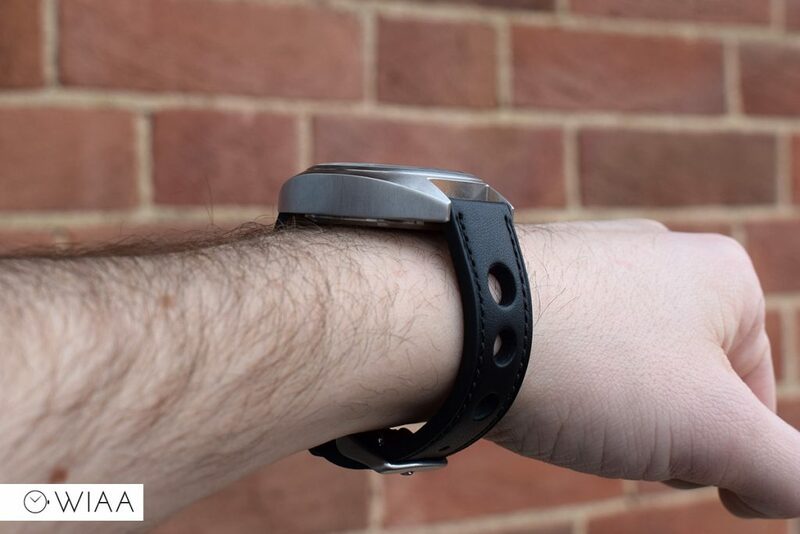 The accuracy is fairly solid at +/- 20 seconds a month, and it has a 3 years battery life. Using the crown and pushers gives you a sense of quality and dependability, so I’m sure it’ll be a solid performer. 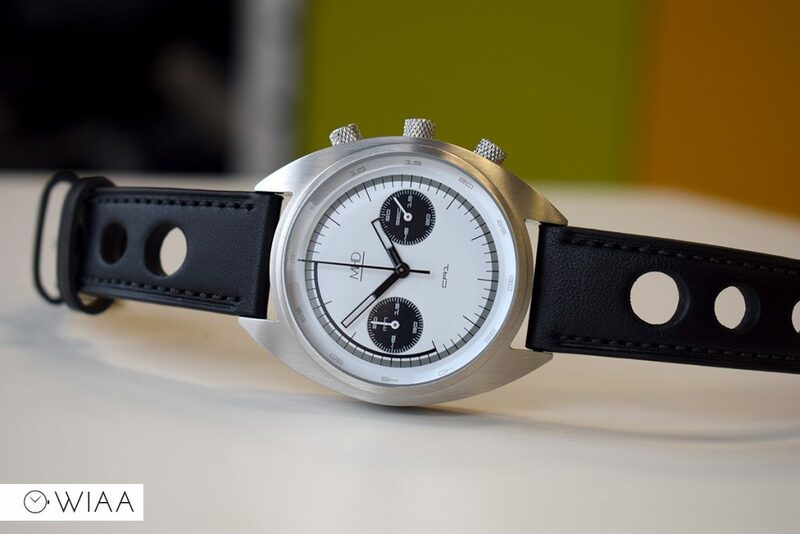 Of course, I’m always happy to see proper British watch manufacturers. 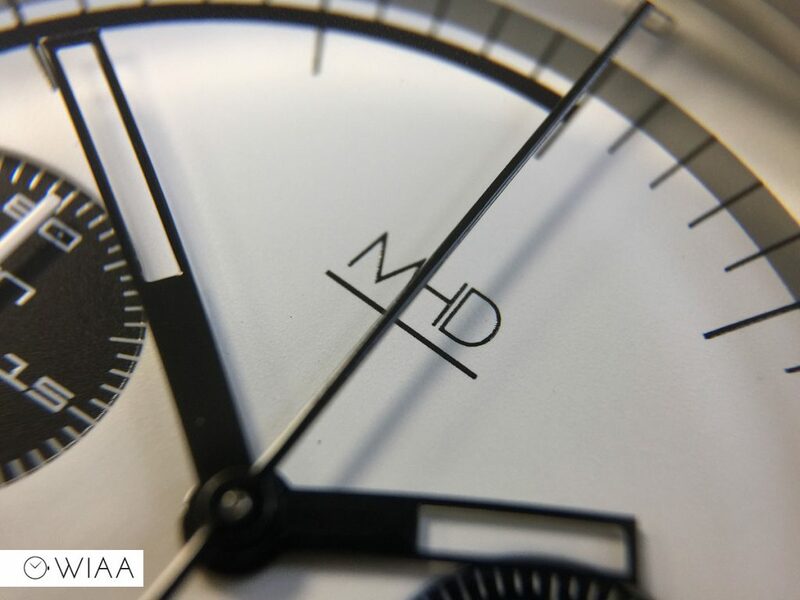 In my opinion, MHD is as British as they come. 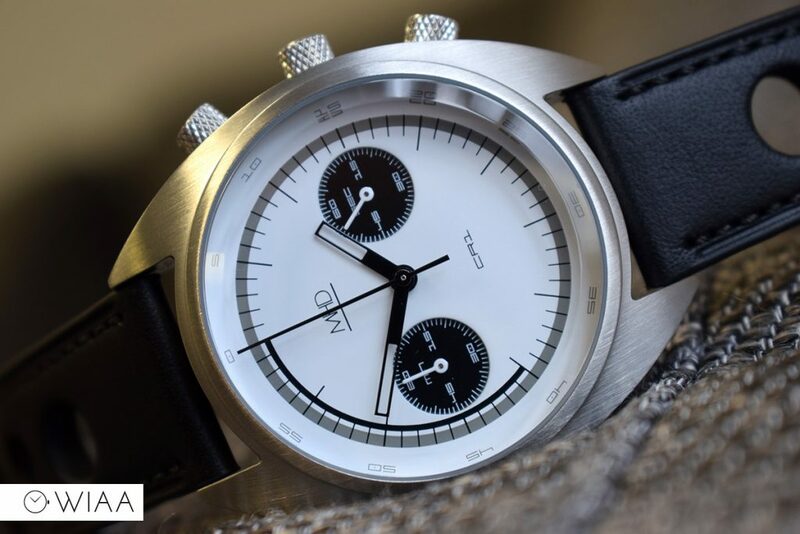 These watches really paint the picture of the best and most glorious automotive design in the 60’s – think Jaguar, Bentley, Rolls Royce. 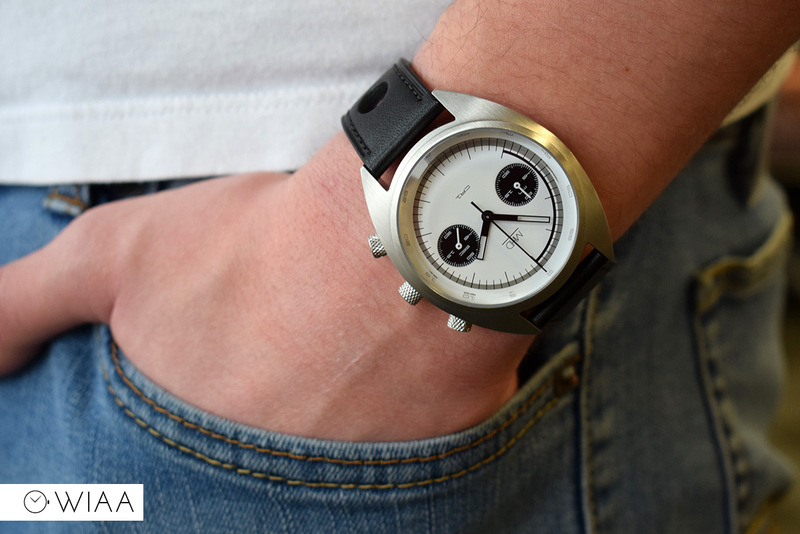 A testament to the simple but effective design is the fact that I receive comments literally everytime I wear it. 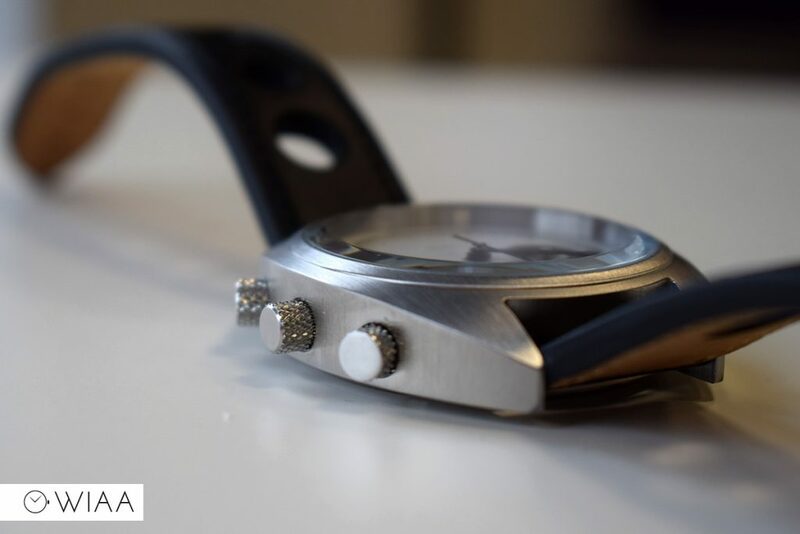 The watch is striking in the metal. The only negative to mention really is the selection of mineral crystal rather than sapphire. Sure it has better shatter resistance, but if you want people to associate your brand with top quality you simply have to go sapphire. 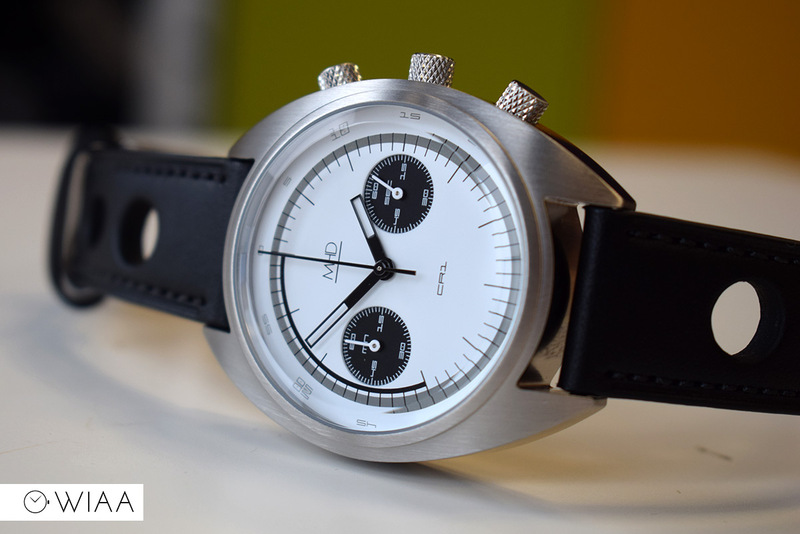 In the meantime, though, the MHD CR1 Panda Chronograph is a timepiece that is as good looking as it is well built.